Sesselía Birgisdóttir Marketing Manager at Advania with Vertonet board members Hrafnhildur Sif Sverrisdóttir and Linda Stefánsdóttir. The Vertonet association was established in Iceland last spring and is inspired by the Norwegian Oda Network. The association’s primary goal is to awaken the interest of women in diverse work opportunities in IT and to lessen the gender disparity present in the sector today. 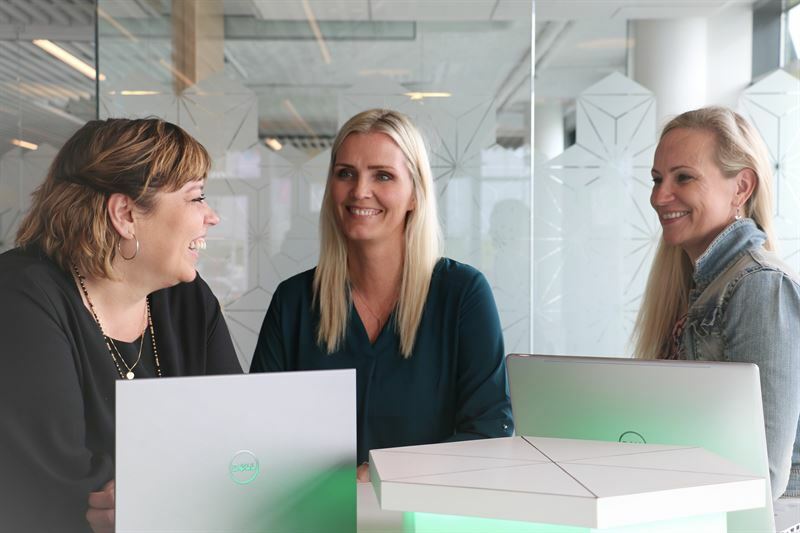 The ideas set forth by Vertonet are in tune with the goals of Advania to increase the proportion of women in the sector. Advania and Vertonet believe that it is necessary to ensure that as wide a range of people as possible is involved in the development of future technological solutions. The collaboration is intended to remove barriers that prevent women seeking work in the sector. The associations first event was held in the headquarters of Advania in Reykjavík. The number of attendees far exceeded expectations, and the premises were filled with highly motivated women. Speakers at the event were women with extensive experience in the sector and shared their vision and ideas, to high acclaim. Lively debates ensued as to what means could be used to improve the situation. Vertonet and its sponsors have put together a varied action plan and event-filled agenda for the next few months where women in the sector will have the opportunity to get to know each other better. Advania supports the campaign in numerous ways and hopes that the contributions of women in the sector will increasingly gain the recognition they deserve in the future.